Craft products such as ceramics, lace, shawls and fans, foodstuffs, fashion clothes, jewellery, gifts and antiques are just a few of things you will find in the shops of Seville. Traditional establishments stand side by side with new franchises, shopping centres and the latest fashions, thus giving a wide range of different shopping possibilities to the visitor to the capital of Andalusia. Seville has everything for the shopper from craftwork and souvenirs to sophisticated fashion all sold in its many shops, workshops, shopping centres and street markets. 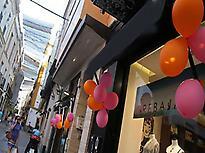 There are three main shopping areas: the old quarter, Triana and Nervión. 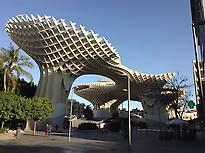 A little bit of Seville in your purchases. Seville: variety in the old town centre. We go shopping in Seville!